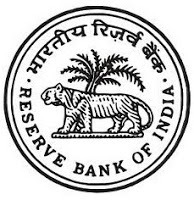 Reserve Bank of India (RBI/Bank) has published an advertisement for 24 Junior Engineer (Civil/Electrical) Posts. Check the details like Qualifications, application process, notification details, application fee, how to apply are given below. Educational Qualification: Minimum three years Diploma in Civil Engineering/ Electrical Engineering from a recognized Institute or University or Board with minimum 65% of marks (55% for SC/ST/PWD) or Degree in Civil Engineering from a recognized University with 55% marks (45% for SC/ST/PWD). Age Limit: Between 20 and 30 years. Candidates born not earlier than 02/01/1989 and not later than 01/01/1999 (both days inclusive) are only eligible to apply. Selection Process: Online Examination and Language Proficiency Test (LPT). Fee: No fee is payable for SC/ST/PWD candidates applying for the post except the intimation charges of ₹ 50/-. How to Apply: Eligible & Interested candidates apply online through the RBI website.